I spent a day and a half at Bluebonnet Studio this weekend! I bet I’m going to finish this project up during next month’s class. 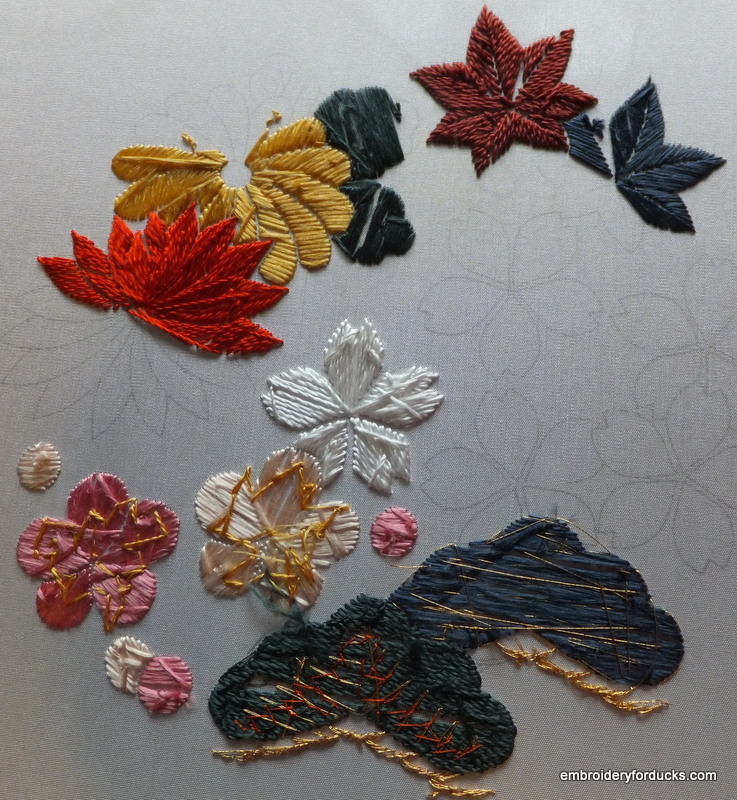 This time I learned how to soft-twist the thread for the cherry flowers (the white one below). 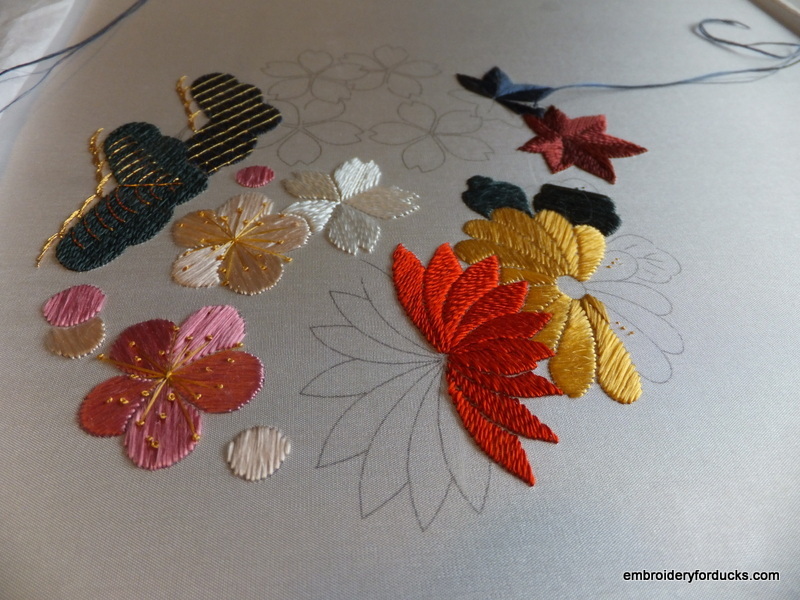 There will be fancy gold stamens eventually. 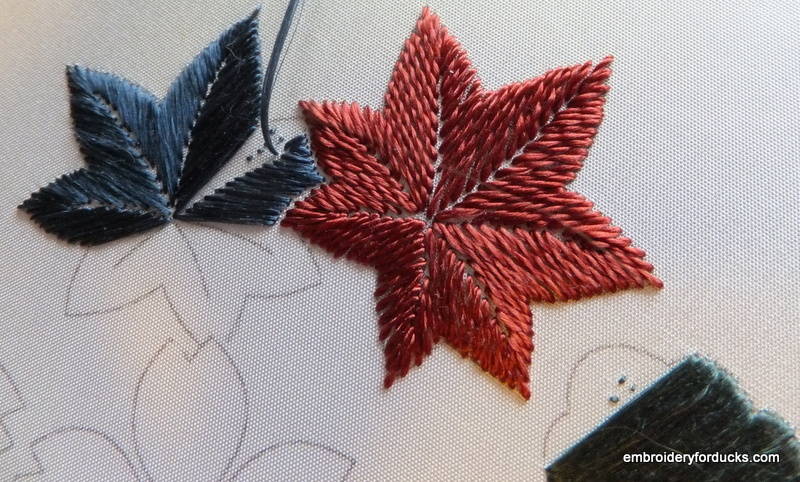 I also worked on a couple of maple leaves! This design has pairs of twisted and flat silk for textural contrast. See? 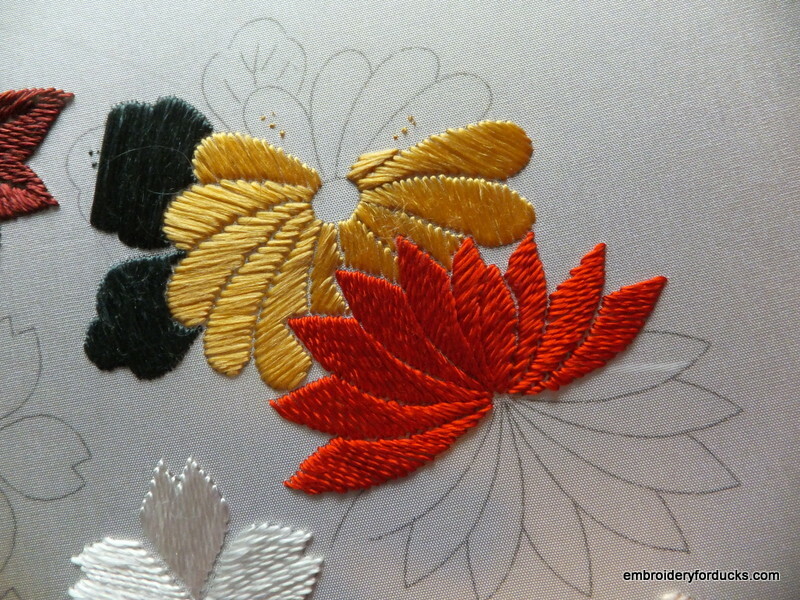 I’ve been working away at the chrysanthemums too. It sure would help if they had fewer petals. And finally, here is the back of the piece! All of the threads are started and ended with tiny pinhead stitches, so there are no tails dangling anywhere. Very well done – it is turning out very well. All those petals do at least give you plenty of practice! yes, I think I have the hang of them now. It’s coming along nicely. Chrysanthemums do seem to go on forever and getting the angles right can be tricky. How gorgeous! Interesting technique with the twisting! This is a huge project! Phew! Yes, I’ve never twisted thread up before and it’s an interesting technique. Beautiful ! It’s coming along so well . I’m so happy with it!